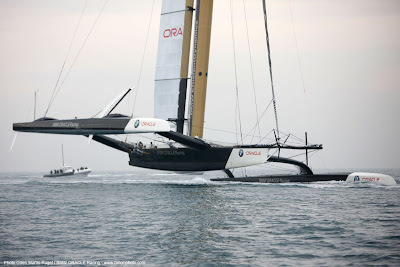 Valencia, 19 January, 2010 – BMW ORACLE Racing, with its trimaran and towering wing sail, made its debut on Spanish waters Tuesday afternoon. 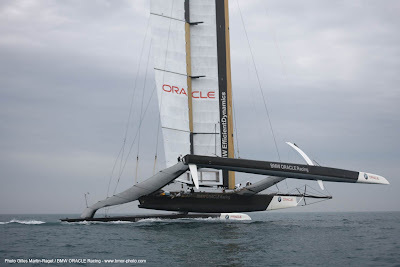 It's the first time the American team has sailed its America’s Cup boat at the venue of the 33rd Match. When the boat took to the waters off the Port of Valencia, it was sporting USA emblazoned on its stern, the name designated for the boat by the Golden Gate Yacht Club when it challenged for the 33rd America’s Cup. Previously, the trimaran had been called the BOR 90. But now, in Spanish waters, this is the name the boat will carry into battle for the America’s Cup next month. Conditions were ideal for a first test sail with four to eight knots of wind and just a small chop on the otherwise flat water. "Everyone was very excited to get out on the water," team CEO Russell Coutts (NZL) confirmed after a successful day of tests. "It's been quite a process to get here, get set up and be ready to sail. But that's the point we're at now and it's a big milestone for the team." 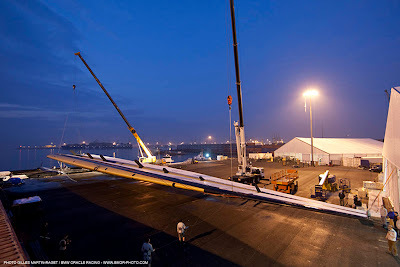 When the team returned to its boatyard in the Port, the President of the Generalitat Valenciana, Francisco Camps, and the Mayoress of Valencia, Rita Barberá, were on hand to officially welcome BMW ORACLE Racing to Valencia ahead of the America's Cup Match and to see the trimaran and wing sail up close for the first time. Coutts, speaking with the dignitaries, announced that as of its Spanish launch, the boat is now named USA and he confirmed the team is very happy to be in its second ‘home’ of Valencia. BMW ORACLE Racing has had a base in the Spanish city since 2004. 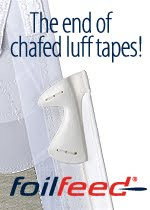 (USA) has used on many of his successful sailing campaigns, including five Maxi World championship wins with his Sayonara race yacht.